Think about Sacramento’s past and the Gold Rush comes to mind. But that’s only part of the story. 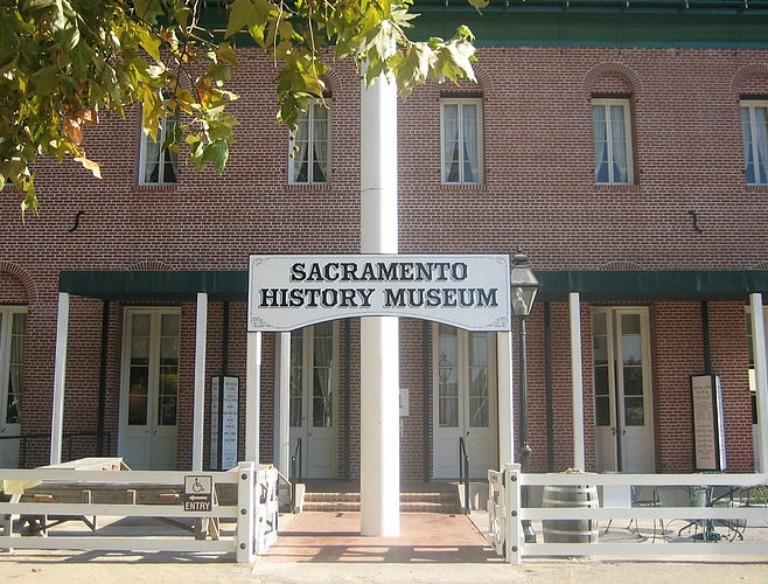 The Sacramento History Museum is dedicated to Sacramento’s rich and diverse history. Our galleries and exhibits explore the history and stories of the area’s first inhabitants, the pioneers who settled here during the Gold Rush, life on the farm, and more. The Museum also features interactive exhibits that bring to life the people and events of Sacramento and its unique place in the history of California and the nation. The Sacramento History Museum’s hours are 10:00 a.m. – 5:00 p.m., 7 days a week. 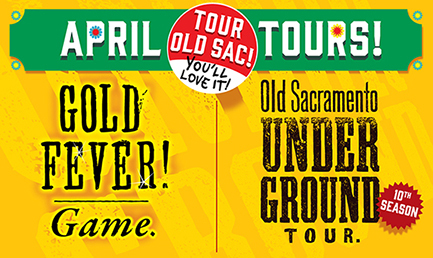 Last admissions are sold at 4:30 p.m.
Spring Means More Old Sacramento Tours! 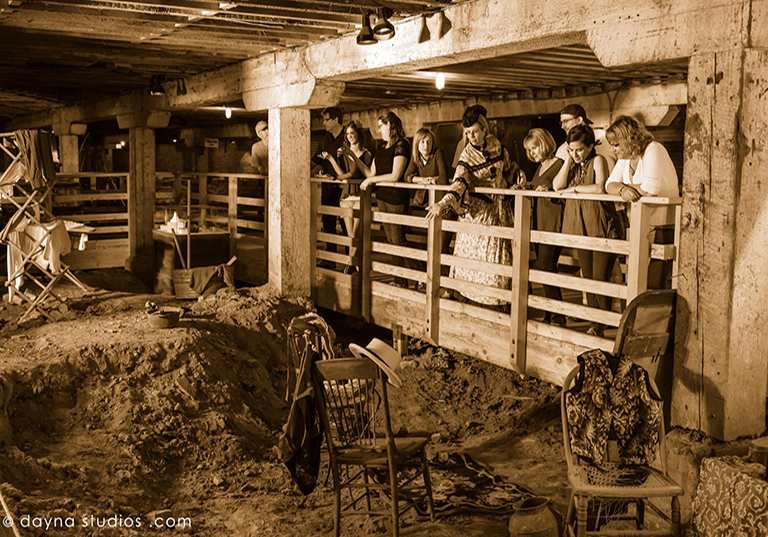 Help us celebrate our 10th season of Underground Tours, beginning Saturday, April 6th. Monday – Friday at 1pm, and Saturday and Sunday at 11am, noon, 12:30, 1:30, 2pm, and 3pm. Tours depart from the Sacramento History Museum. Try your luck in the rough-and-tumble Gold Rush, with the Gold Fever! 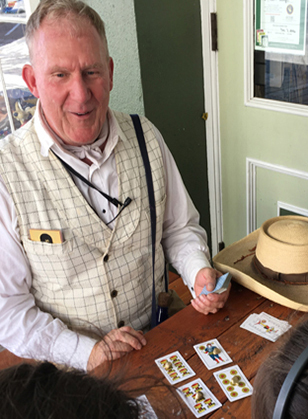 Game Get the fever, Saturdays & Sundays at 10:30am, noon, and 1:30pm, departing from the Visitor’s Center at 1001 2nd Street. Tours fill up quickly, so book your space now! Click Here for the Tour Page. Timed to commemorate the 150th anniversary of the completion of the Transcontinental Railroad, the Sacramento History Museum – in partnership with the California State Railroad Museum, Center for Sacramento History and the Crocker Art Museum – is proud to present the Gold Spike Lecture Series that will take place April through September 2019. Earmarked by an exciting line-up of guest speakers and a variety of compelling topics, the lectures and book signing events will take place at the Sacramento History Museum, the California Railroad Museum, and the Crocker Art Gallery. For more information, Click Here. 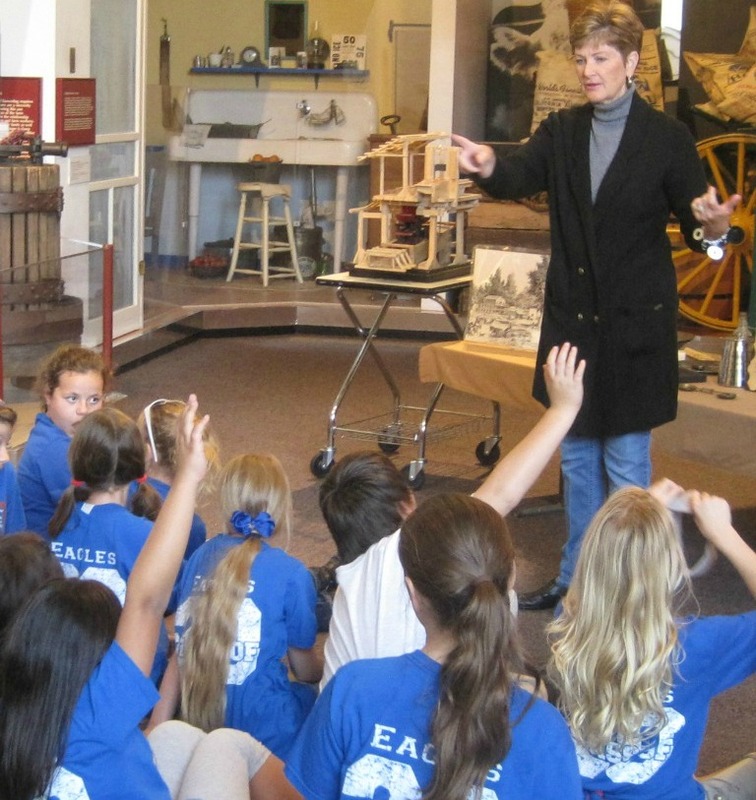 Old Sacramento History Camp is Coming! Old Sacramento History Camp is a day camp for children in 1st -7th grade, that provides a safe, fun, and educational experience. Campers take part in field trips to historic sites and museums in the Sacramento area, arts and crafts, games, and outdoor activities. History Camp Directors create daily schedules that ensure there is never a dull moment at camp. Spots fill up quickly, so register now! To find out more, Click Here. It’s Time For Field Trips! We are still accepting school programs and will continue to hold school programs using Old Sacramento as our classroom. 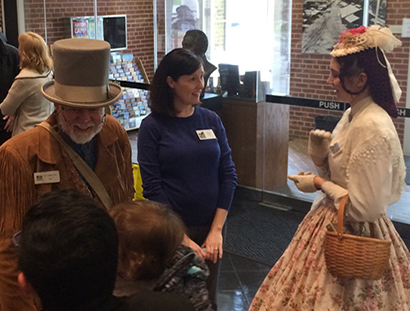 Programs include Sacramento History programs, Gold Rush programs, Underground, Gold Fever! tours, and more. To find out more, Click Here. Become a member today and help support the preservation and exploration of Sacramento’s historic legacy. Your donations help us create programs for our community!